Look at these rings! Aren’t they lovely? I think so! Jilliene Designing shares on her website how easy it is to make beautiful flower and bead rings. She makes it look so simple, I believe I can make a wire ring! 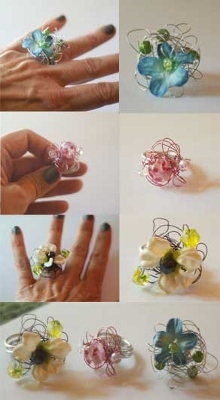 Follow the detailed instructions and photographs and create your own Flower and Bead Wire Wrap Ring.